He is the best candidate for the people. We cannot have our country continue to be ran by racist politicians. President Obama has opened the door for a better tomorrow for black and brown people – now it’s time for Berner Sanders to finish the job the right way. 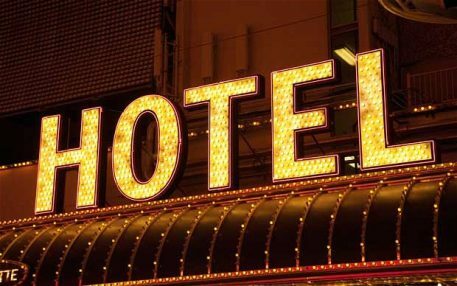 The Los Angeles City Council has given final approval to a minimum wage increase for workers at the city’s large hotels. The bill would increase pay to $15.37 an hour. Hotel industry trade groups vocally opposed the bill and are preparing a legal challenge if Mayor Eric Garcetti signs it into law. Hotel industry representatives call the measure discriminatory because it does not include workers citywide, and say it was a strategic move by labor groups to encourage more hotels to unionize their workers. Under the ordinance, hotels with a unionized workforce can be exempted from paying the $15.37 hourly wage, if workers agree in their contract to relinquish that opportunity. “A minimum wage should be citywide,” said Bob Amano, executive director of the Hotel Assn. of Los Angeles. Amano said the members of the City Council didn’t review the economic impact reports commissioned on the proposal before approving the ordinance last week. The wage boost will go into effect in July for hotels with at least 300 rooms, and expand a year later to hotels with at least 150 rooms. Garcetti has promised to sign the ordinance. See http://www.latimes.com and http://www.democracynow.org for further headlines.